An avid conservationist, Rough Rider, president, and all around Bull Moose – Theodore Roosevelt became the symbol for rugged American power at the start of the 20th century. He was also an avid coffee drinker. 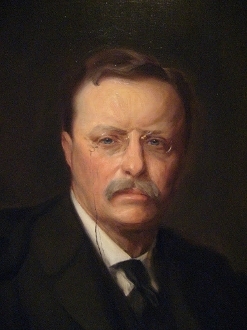 His son once said Roosevelt's coffee mug was about the size of a bathtub. In 1913,Teddy traveled Through The Brazilian Wilderness on what would be his last great adventure. In honor of that expedition, The Teddy Roosevelt is a full-city roasted bean from Brazil.